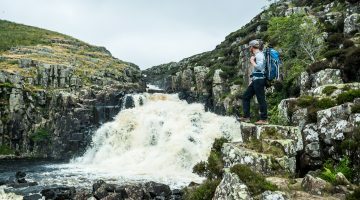 This 6-day tour provides a wonderful introduction to the dramatic moorland and spectacular coastline of the proud old county of Yorkshire. 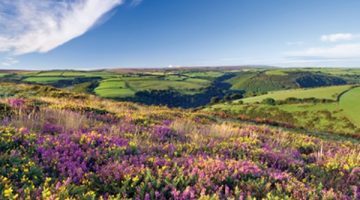 This itinerary is a tour of contrasts, exploring the stunning heather moorland of the North York Moors National Park before heading east to visit the charming settlements along the coast. 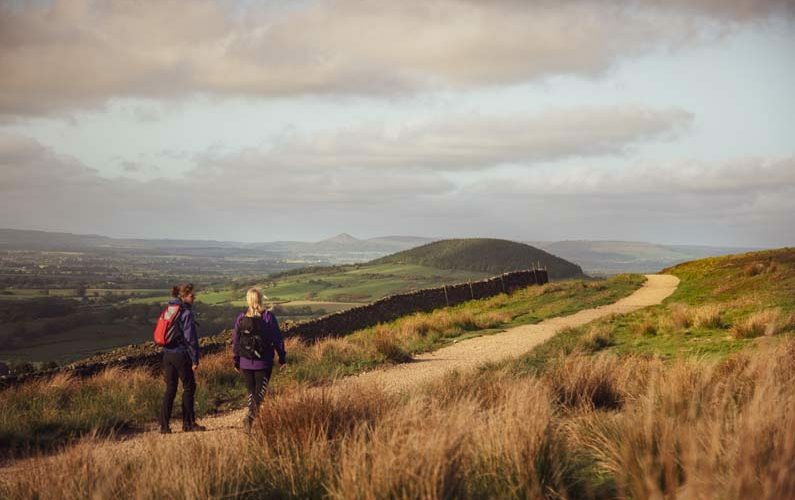 Starting in the picture-postcard village of Helmsley, this whistle-stop tour takes in all the classic sights of the Cleveland Way where the dramatic uplands of the North York Moors National Park provide the backdrop. It’s a tour of contrasts, visiting the stunning heather moorland and magnificent historic sites like Rievaulx Abbey, where nearly five centuries after their dissolution by order of King Henry VIII, the monastic ruins provide a poignant reminder of the region’s turbulent past before moving to the coast to explore the charming settlements of Saltburn, Staithes and Whitby. This itinerary is offered by Celtic Trails Walking Holidays, who specialise in self-guided walking holidays in the UK and Europe. As one of the longest established providers in the UK, Celtic Trails are experts in the field, but remain small enough to ensure that every customer receives an individual and personalised service. Celtic Trails arrange all accommodation, path pick-ups and drop offs and luggage transfers and provide a detailed walk package which includes a guide book, OS mapping, accommodation directions, packed lunch and dinner options, the daily arrangements and useful information. Starting in Helmsley, this tour seamlessly blends walking and sight-seeing to make the most of your time in Yorkshire. 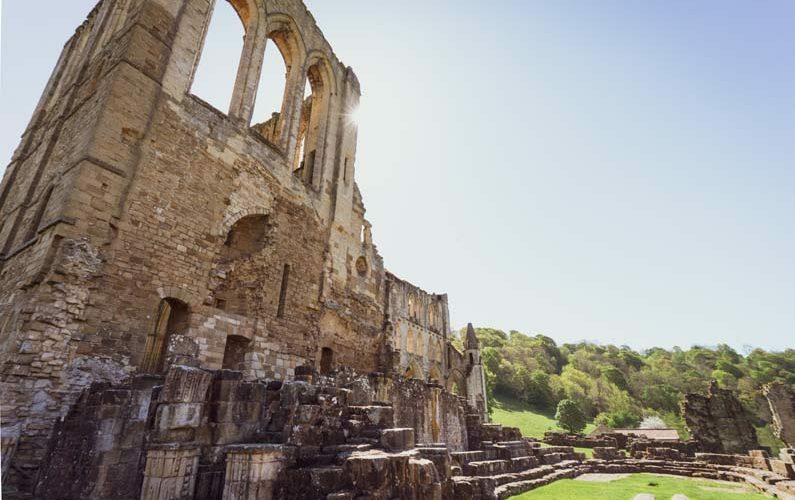 Explore historic Helmsley and Rievaulx Abbey before heading out onto the moors to walk one of the most scenic sections of the trail and then following the coastal path from Saltburn to Whitby. 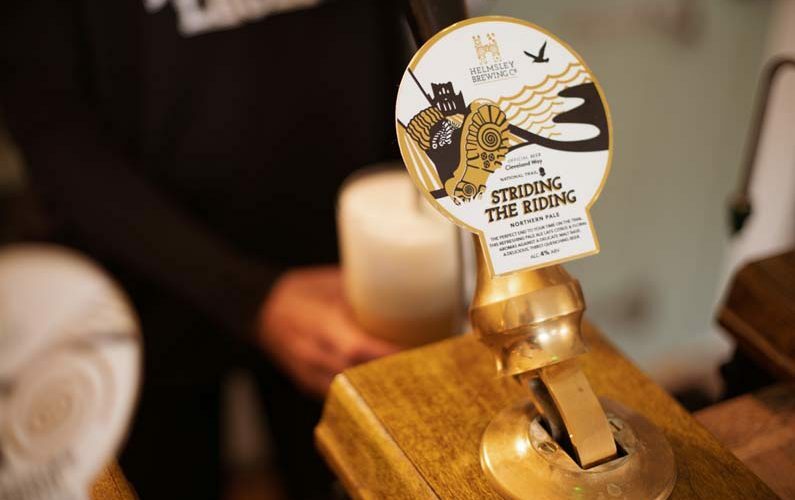 Check into your comfortable accommodation at the Feathers Hotel and explore Helmsley Castle before heading to the Helmsley Brewery Company to see how they make local cask ale and sample a few glasses of the official Cleveland Way ale ‘Striding the Riding’. Overnight in the village. Whitby prospered through the years from whaling, shipbuilding (Captain Cook’s ships were built here) and the jet trade, but today tourism is one of the main industries. Whitby is renowned as the setting for Bram Stoker’s ‘Dracula’. Try counting the 199 steps up to the Church of St Mary – it’s rare for two people to agree on the actual number! 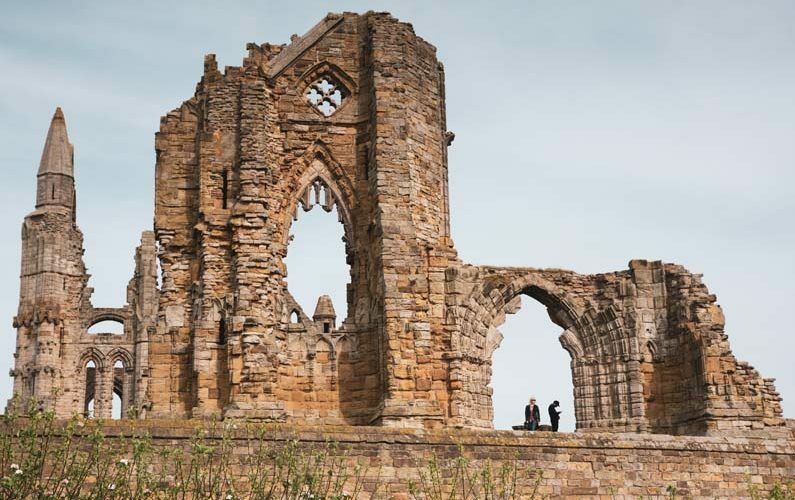 The classic outline of the ruins of Whitby Abbey soon comes into view. 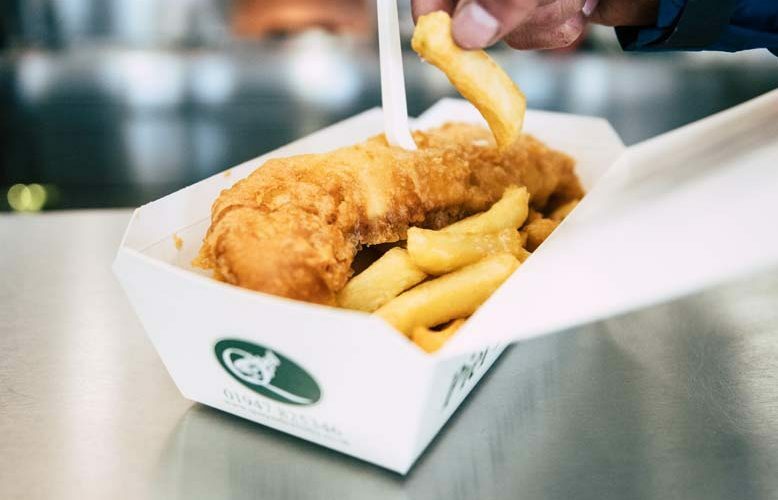 Enjoy fish and chips on the Prom – the definitive Whitby experience. 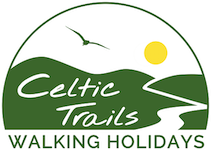 Celtic Trails accommodates walkers in good standard accommodation at a mixture of guesthouses, farmhouses, local inns and B&B’s with ensuite or private facilities wherever possible. Breakfast is included. For this itinerary, walkers stay at the Feathers Hotel in Helmsley and The Captain Cook Inn at Staithes – both noted for their traditional cask ales. 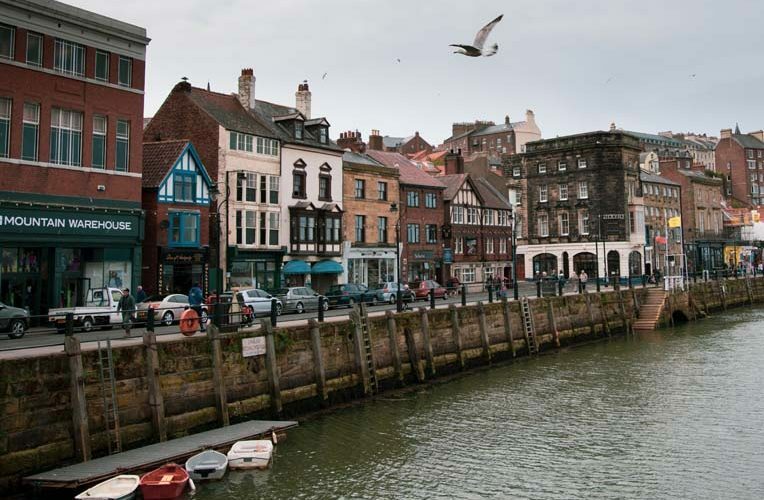 In addition there is an overnight stay in Great Broughton and the historic seaside town of Whitby. This route is rated moderate and offers a contrast between moorland and coastal walking. 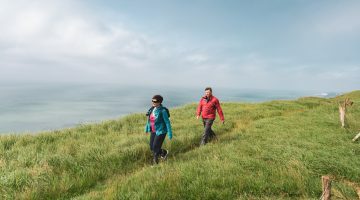 The walk can be completed at any time of year, but winter usually brings snow, ice and freezing temperatures so we recommend visiting in spring or summer for warm temperatures and longer daylight hours. Celtic Trails recommend the route is walked from mid-March to mid-October. You’ll be spoiled for choice with so much great local food and drink on offer. Start with local ales at the Helmsley Brewery the night before you start walking, then feast on the region’s ever-changing culinary delights as you walk. There’s an almost endless stream of pubs, cafes, tea rooms and farm shops along the way, plus the chance to visit some excellent eateries. Make sure you buy some local snacks to carry with you too, because there are great picnic spots along the Cleveland Way.